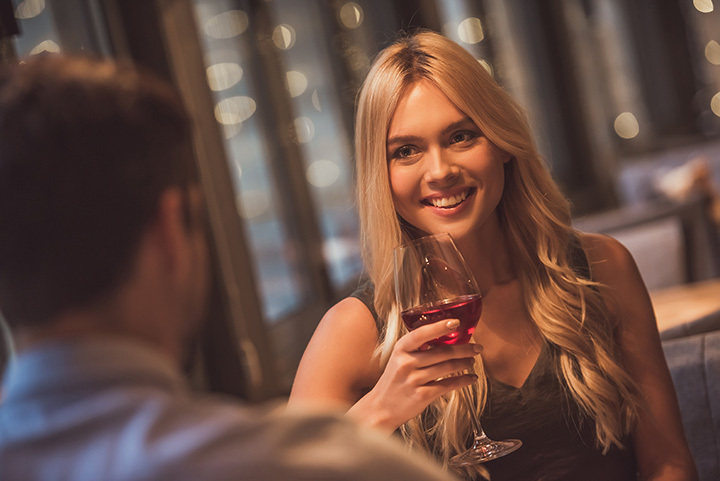 Where you choose to have your first date can make or break whether you have a second one. Tennessee is full of exciting places and adventures that are perfect conversation starters and memory makers. From cute drive-in movie theaters to retro arcades, here are the 10 best first date locations in Tennessee. This cozy little grab and go market is the perfect meeting spot for a quick snack and breaking the ice. They have tons of old-fashioned bottled sodas, craft beer, small bites, made to order paninis, and other light fare to munch over as you get to know each other. Even better, it’s a stone’s throw from the waterfront, where you can take a walk as you figure out your next steps. For a unique first date, take a factory tour of this delightful chocolate factory. Guests spend 30-40 minutes seeing how their fine chocolate is made from bean to bar, along with samples to savor. At just $5 per person, this is one of the most creative and cost-effective dates you’ll ever have. Drive-in theaters aren’t completely dead, but they’re novel enough to add whimsy and excitement to a first date. This drive-in features well-known movies that you won’t mind seeing again, along with concessions on-site. They’re only open March through November, so you’ll want to plan your visit accordingly. Escape rooms are all the rage, but this place is one of the most original venues you’ll ever visit. Each of their puzzles are one of a kind (unlike most other escape rooms), offering scenarios for every skill level. Working together is a great way to get to know someone, which can be more telling than any first date conversation. There’s nothing like spending the first date walking and talking as you get to know each other. Head to this gorgeous botanical garden and surround yourself in beautiful scenery as you explore the area, take pictures, and see if a first date might turn into a second. This sprawling winery and estate is nothing short of breathtaking. You can sip on some homegrown vino and soak in the laid-back scenery for a relaxing, stress-free first date. Or, book a private tasting tour and explore their wine production facility, complete with tastings and a memorable experience. Take a step back in time in this retro video arcade. Old-style games like pinball and Pac Man offer friendly competition and a heaping dose of nostalgia. There’s an entry fee to get in, but then it’s play all you want on most games. This is the sweetest first date location you’ll ever visit! Candy-themed indoor and outdoor mini golf courses are works of art, giving you and your date a chance to show off your mad putting skills. There’s also a candy haven and ice cream bar inside for a sweet ending to your date. If you’re looking to make a strong impression on your first date, this place will make your evening soar. They’re known for their wine flights that let you sample several varieties, along with elevated fare, shareable appetizers, and a sophisticated ambiance. Expect an amazing meal with great views and proximity to some of Memphis’s best attractions. This dinner with a view is one of most romantic first date venues in the city. Step aboard this old-fashioned riverboat and enjoy strolling the deck while soaking in the sights. They offer daytime cruises and evening dinner cruises, so you can plan your date around your schedule.